I envisioned my time in Australia being very low key and relaxing. You know… walks with my uncle and tea with my grandmother. 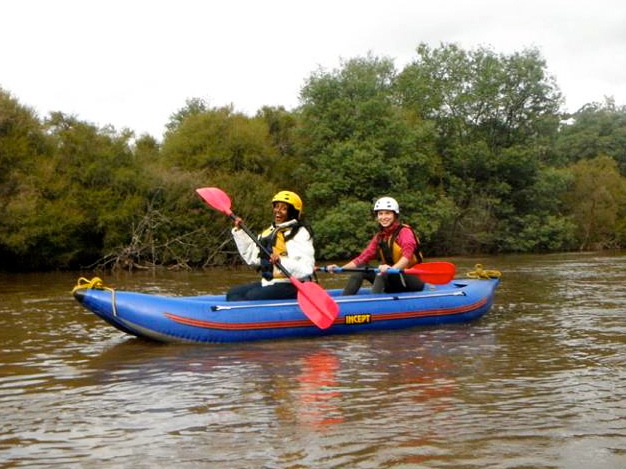 But my first weekend there, my friend Ellie invited me along on her birthday caving and kayaking trip. I figured it would be a fun, new Melbourne experience, so I decided to tag along. It ended up being an amazing experience on so many levels! 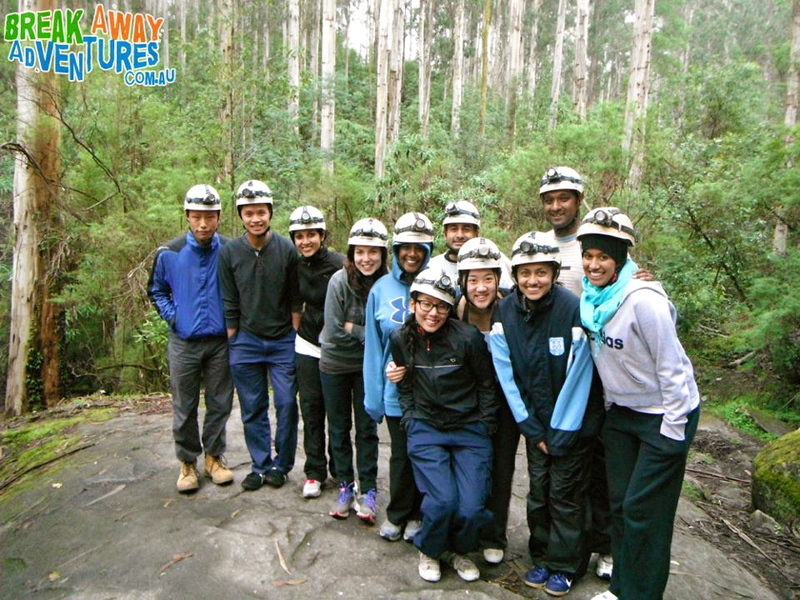 Here are 6 things I learned from caving and kayaking the Yarra river. 1. The importance of communication. Our first activity of the day was kayaking. 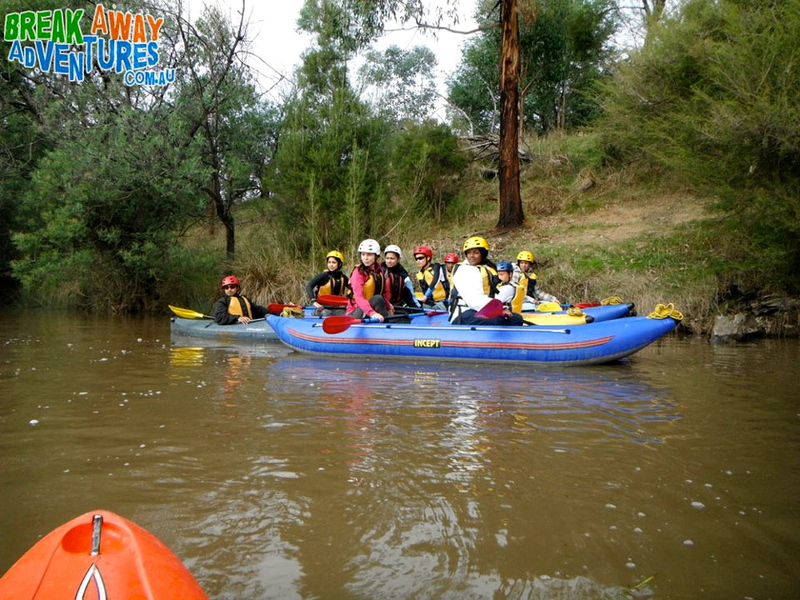 What better way to start the morning than a leisurely morning cruising down the Yarra River? My partner Gianna and I totally thought we had it in the bag. How hard could it be right? Turns out that it was harder than we thought! After watching the group struggle for a bit, one of the instructors called us all over and told us that we’d all struggle less if we would remember to communicate! Even though we had the same goals, we were going about it in different ways. Once we started communicating with each other, and making sure we were on the same page, our combined efforts made the task so much easier. 2. The twists and turns make the journey that much more worthwhile. 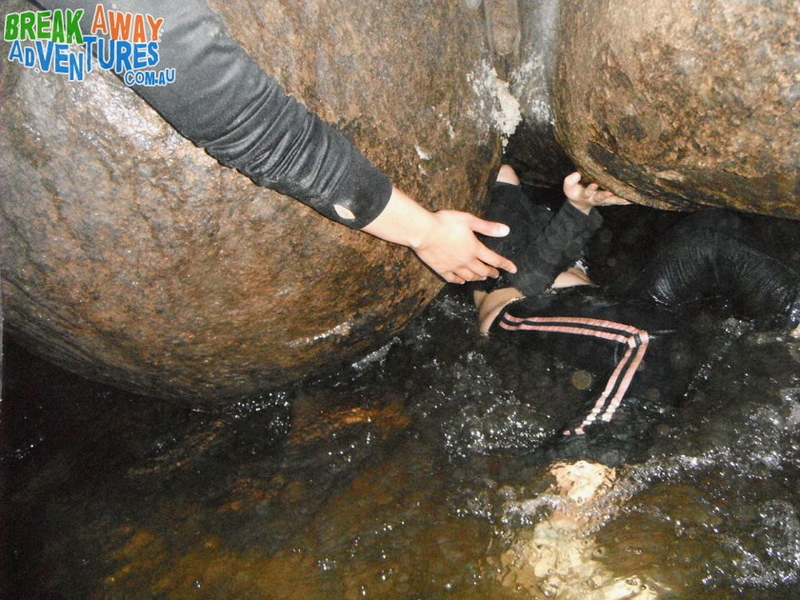 The one thing our instructors emphasized was to avoid the rocks. So what did we do? Get stuck on a huge rock! 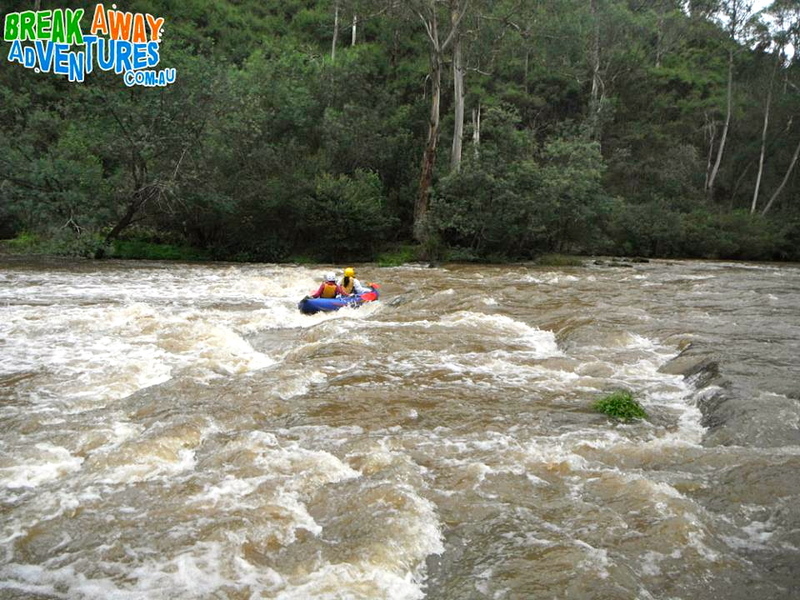 We also managed to go down one set of rapids backwards as well. Oops! But those experiences are what made it fun and memorable. Including the time one of us fell into the river! Why go down the rapids forwards, when you could go backwards? After that upper body workout that was kayaking, we were all talking about how we were glad that we got the hard stuff out of the way, and how we were looking forward to a nice walk through the caves. 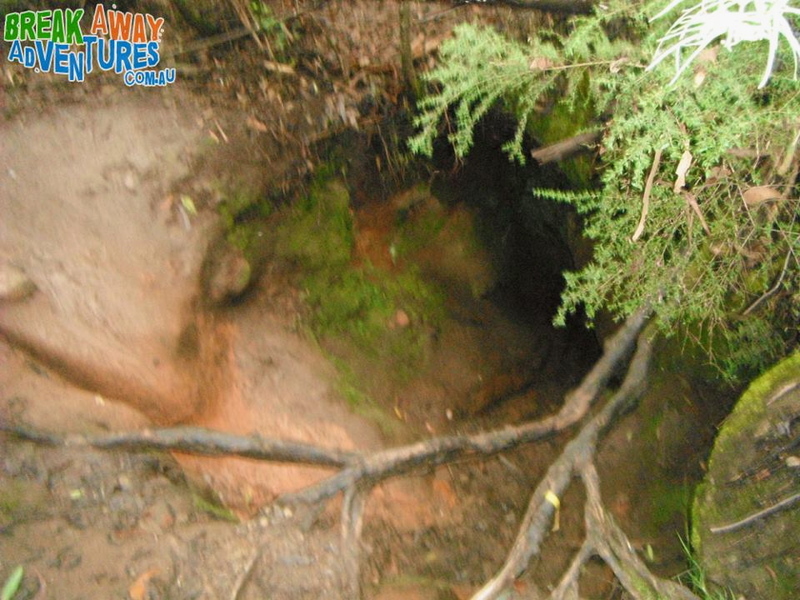 Having been to scenic Penns Caves and Luray Caverns back in the day, I was looking forward to having some nice photos with some stalagmites and stalactites. Blissfully unaware of what’s to come! 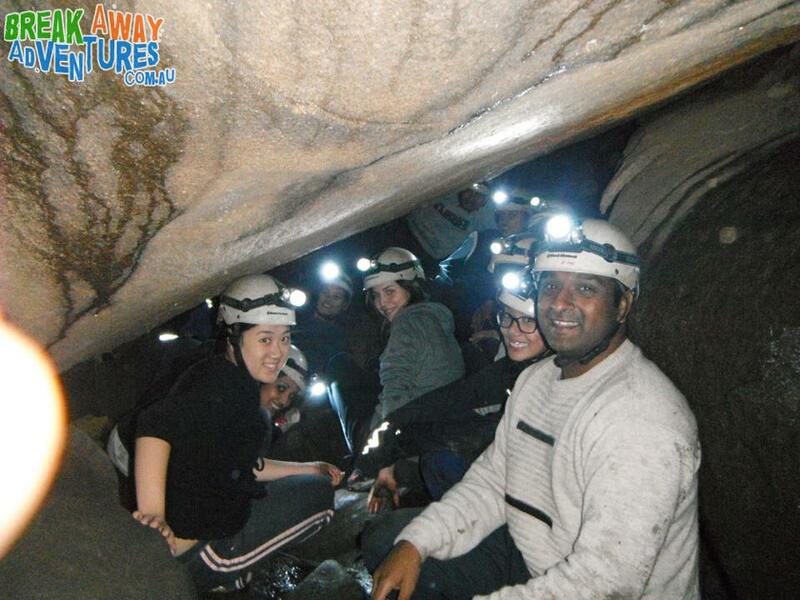 At which point our instructor told us to crawl in. WHAT?!?! 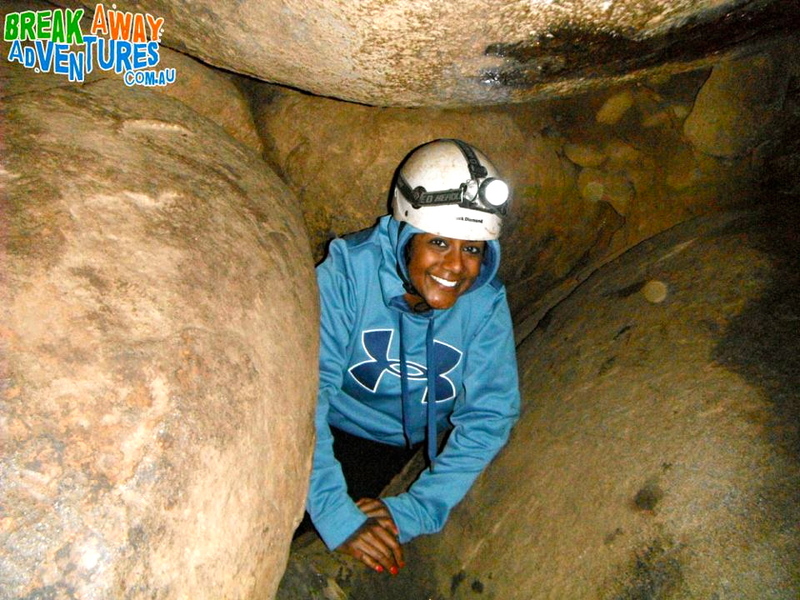 That was when I realized that my idea of caving was totally different than the Aussie version of caving! 3. Mind over matter. I never thought of myself as claustrophobic, but I must admit that after getting into the first chamber, I started to panic a little. It was dark, it was cramped, and all of a sudden I felt like I couldn’t breathe. My heart was pounding, and my brain was telling me to get the heck out of there! As my mind started racing, I realized that if I wanted to get through this, I had to calm down. I started taking deep breaths and thinking rationally instead of emotionally. I was still nervous, but things were a lot better once I stopped freaking out! I don’t know how I’m smiling in this photo, because I felt like crying! 4. I get by with a little help from my friends. 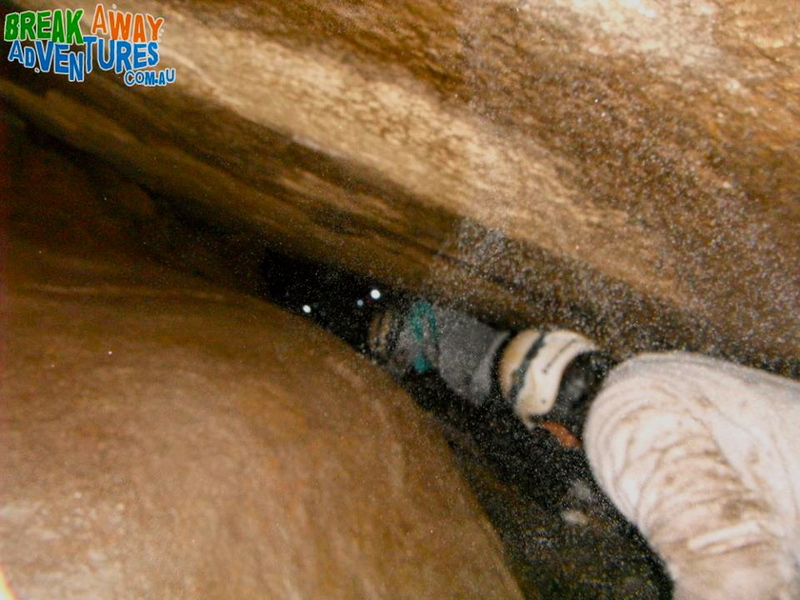 Caving involved a lot of climbing and crawling through tight spaces and water, often times with little or no visibility ahead. In order to get through to the next section, you had to rely on the person ahead of you to guide you through. And in return, help the person following you. It really was a team effort. I also have to thank Amanda, who was ahead of me, for being extra supportive and reassuring! 5. If it doesn’t kill you, it makes you stronger. 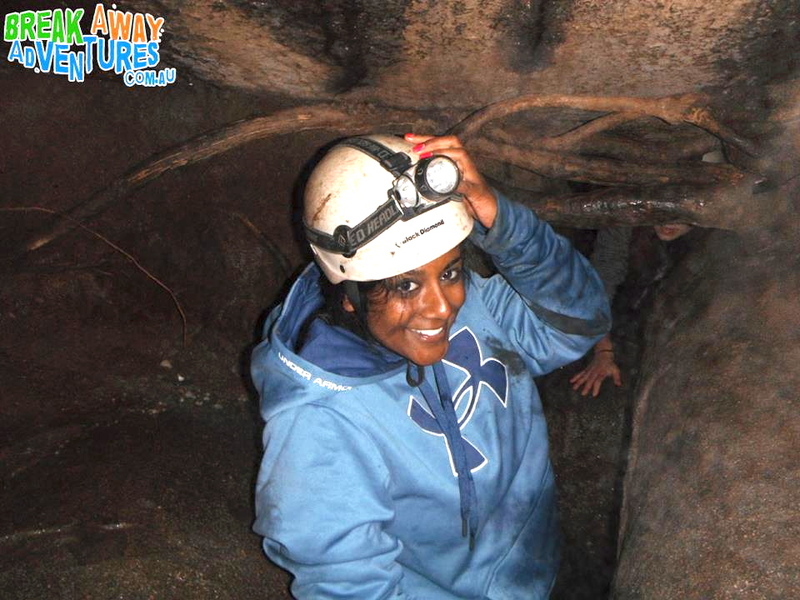 There were times when I wanted desperately to bail; anything to get out of that cave! But at one point, Ellie mentioned that we would be so glad afterwards, and would come out so much stronger. And she was completely right. Despite my fears, and the bumps, bruises, and aching muscles the next day, I came out of this experience so much stronger than before! I never thought I would be able to do anything like that, so it gave me more confidence in my abilities. Who knew cave lighting could be so flattering? 6. Life rewards those who say “Yes!” I’m so glad that I accepted Ellie’s invitation to join this trip! It was something that I had never done before, and might not have had the chance to do otherwise. Regrets are often due to missed opportunities, and saying YES more often can lead to awesome new experiences and perspectives. Tired, cold, and soaked to the bone, but mission accomplished! Would I do it again? Um, no. 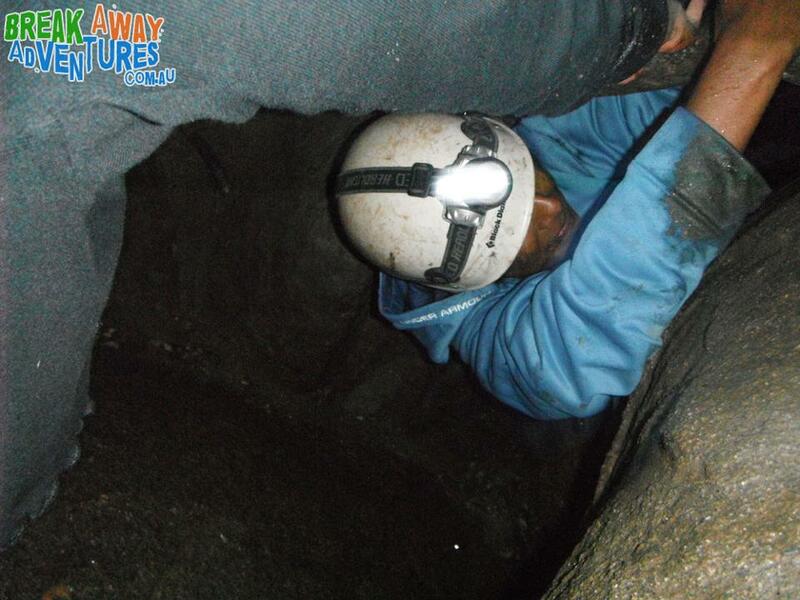 Caving is not my thing, but as my friend Shani said, I’m glad that box has been ticked! Big shout out to the guys at Break Away Adventures; they did an awesome job leading the tour, and took a ton of great photos. Happy Birthday Ellie! ← Do you come from a land down under? Of course, you know I think this looks AWESOME! When we went rafting in Colorado, they stressed working together. 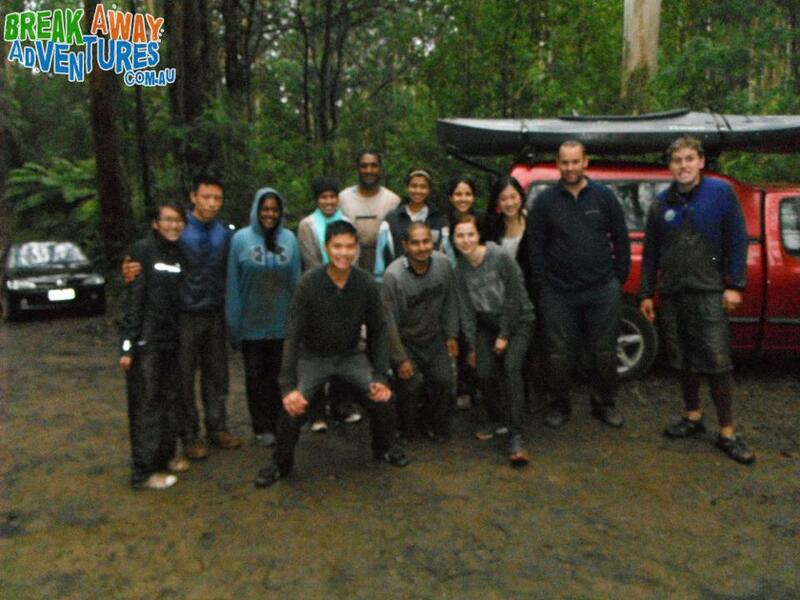 After we finished our very rigorous 3/4 rapids trip, we were exhausted but exhilarated. I beamed….TEAMWORK! My kids make fun of me for bursting out and being “goofy” and still bring it up to this day! But, it was true! Glad you had such a great experience. Some of those spaces looks to TINY!! So proud of you for going for it! And I love what you said about “Life rewarding those who say ‘yes! '” I totally agree! Thanks J 🙂 You’re a good example of someone who says YES! Pingback: Hang Sung Sot Grotto, Cave of Surprises « Lab to Fab! haha glad that you liked the tips. 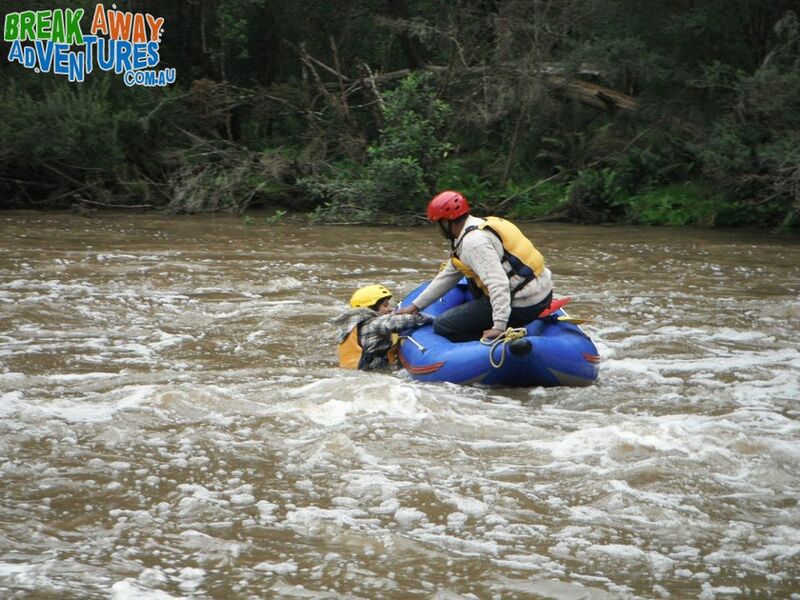 Let me know how your rafting trip goes!! Hi Nan, thanks for checking out my blog. There wasn’t any swimming, but a few instances where we has to step or crawl through (icy cold!) water. Let me know if you give it a try!